This is my first painting from working under the tutelage of Rose Adare. I have learned so much, and I have so far to go! There is so much I love about this painting. 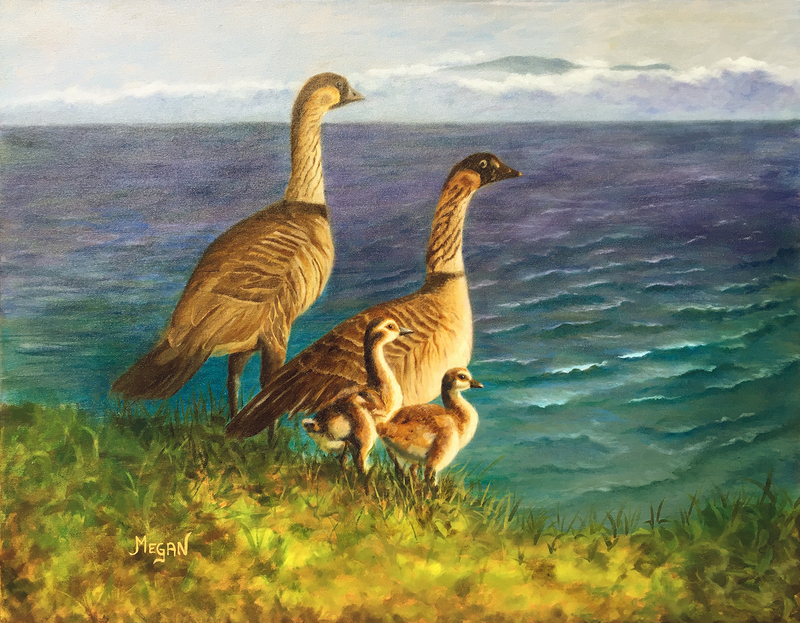 Papa goose looks toward Maui, as though he longs to go home. Mama is keeping an eye on us, protective of her goslings, and the two babies mirror their parent’s poses as children do. The name of the painting came to me long before the mountains appeared in the background. I didn’t know why, but that was the name of this painting, Dreaming of Home.